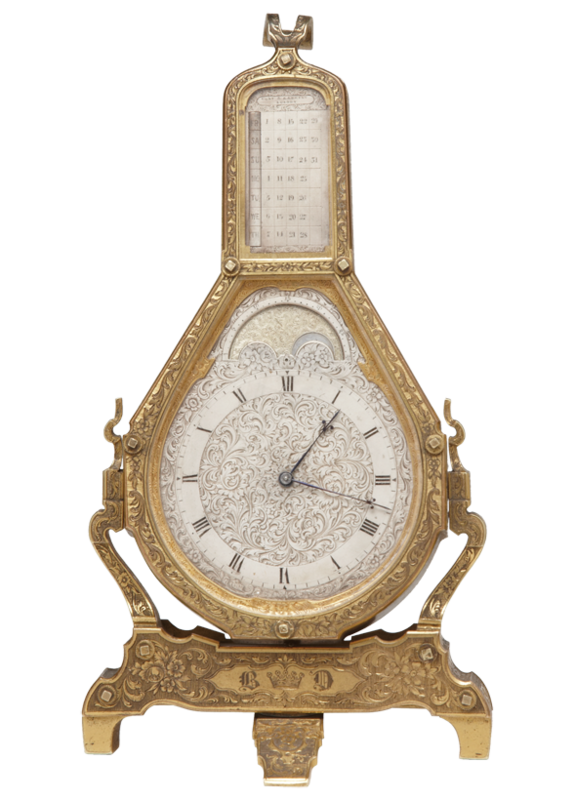 A fine 19th century gilt engraved 8 day strut clock in the manner of Thomas Cole and with, time, phases of the moon and date of the month. 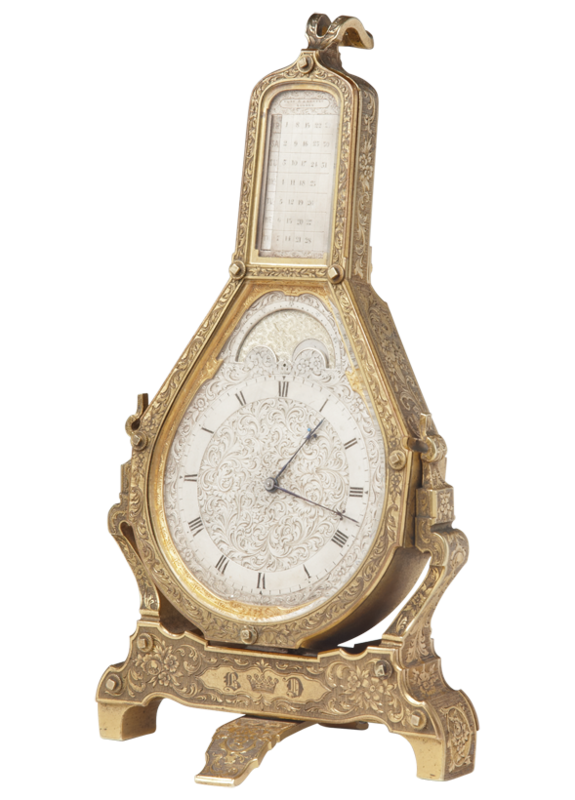 The case is heavily engraved and with finely engraved silvered dials and fine hands, the clock retains the original winding and setting keys. 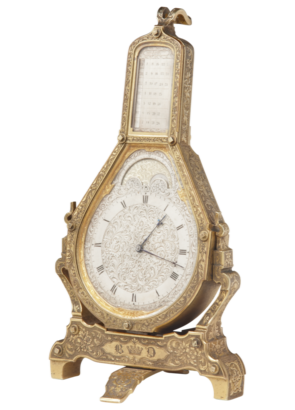 The movement with lever escapement and signed to the plates, Hunt & Roskell which is repeated to the dial. 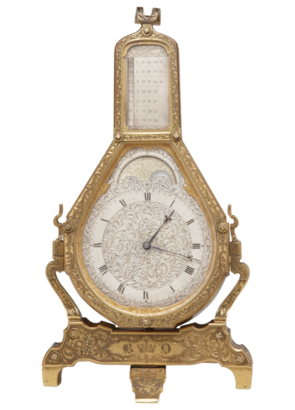 Hunt & Roskell retailed many clocks made by Thomas Cole.